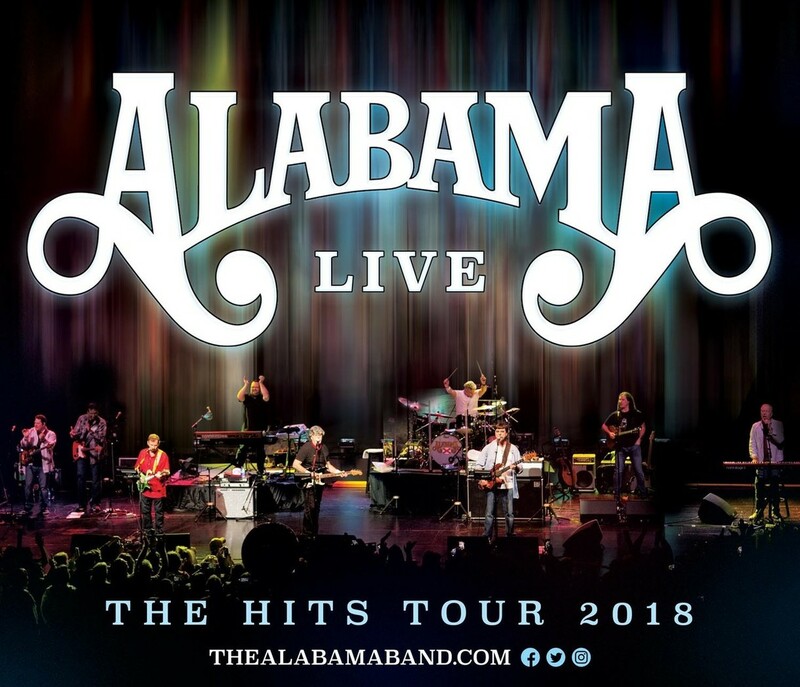 NASHVILLE, TN—MARCH 8, 2018— Country music legends ALABAMA announced the first of leg of THE HITS TOUR 2018, launching March 23 in Grand Prairie, TX. Fans can expect the once in a lifetime show that continues to attract multiple generations of fans that flock to see ALABAMA, driving them to be named the ‘Greatest Country Band of All Time.’ The iconic performers will showcase the unprecedented collection of 43 No. 1 singles spanning 21 GOLD, PLATINUM, and MULTI-PLATINUM albums and a musical tradition and legacy that continues. “This year's tour is for the lifelong fans, and also the younger generations just now discovering the music,” Randy Owen notes. Tony Conway continues, "The band is having fun, selling tickets, and sounding unbelievable vocally. This tour is about the music of the past 49 years the band's 43 No. 1 singles. ALABAMA is still and will always be the greatest country band in American History." Tickets are available now and selling rapidly. The band added a third consecutive night in Atlanta at The Fox Theatre due the high demand. Grab your tickets fast to experience the greatest Country live show of your life! Visit www.thealabamaband.com to purchase tickets and also keep up with new dates announcing weekly.